Sometimes, smaller is better - especially when it comes to technology. Doubly so when it comes to gear that will fit into that Christmas stocking. From high-powered flashlights to high-performance earbuds, we've got three deals on tech that anybody can use - and afford. This handy unit is perfect for the outdoorsy, but won't go unused by anyone who cares about the environment, their power bill, or both. Capable of charging up and storing a battery capacity of 5,000mAh, the Universal Waterproof Solar Charger can charge up an iPhone or Android from what it gathers just soaking up the sun - and it has dropped to its current price of $10.99 from the previous sale price of $13.99. It's fitting that these durable flashlights come in a two-pack as they're equally dependable as a hiking flashlight or emergency roadside aid. With an adjustable zoom, three beam modes and an 800-meter range, these will be the gift your friends will thank you no matter how they use it. Originally priced at $100, the UltraBright 500-Lumen Tactical Military Flashlight: 2-Pack is currently $14.99. No wires and three hours of life on a single charge means no excuses for stopping that workout or jog. These buds pack CVC Noise Cancellation technology and one-touch, low-pressure controls into a minimalist, ergonomic design. 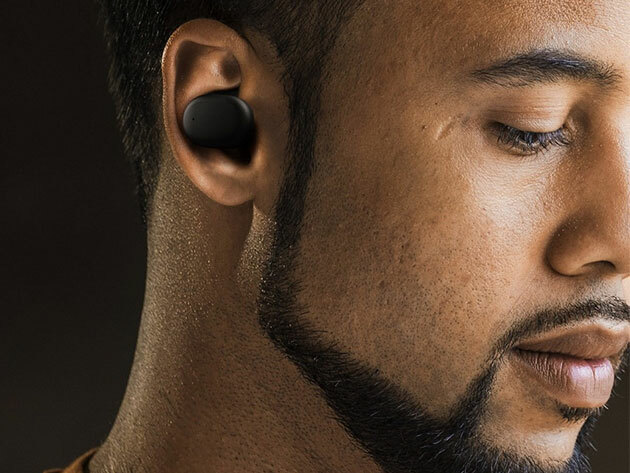 Equipped with a wireless charging case that can juice up the earbuds up to four times on the go, the Cresuer Touchwave True Wireless Bluetooth Earbuds are $34.99 - down from the already sale-priced $44.99.